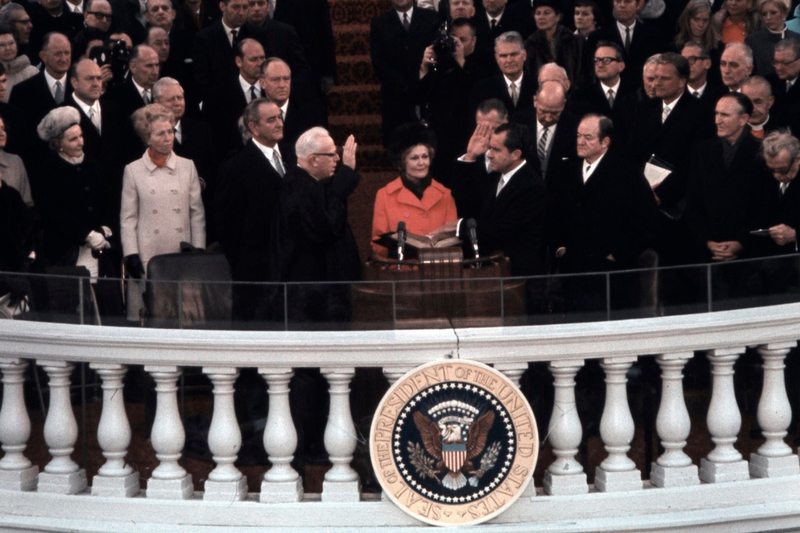 The Richard Nixon Foundation has published a new, originally-curated online exhibit recounting the 1969 inauguration of President Richard Nixon — on the 50th anniversary of that historic day. Visitors to the exhibit will experience an in-depth, behind the scenes look at the crafting and writing of President Nixon’s historic Inaugural Address, complete with more than 40 images, artifacts, and videos — many never before seen! The exhibit is best viewed on a desktop, laptop or tablet. Use the right and left arrow keys to explore the exhibit. This online exhibit joins others produced by the Richard Nixon Foundation commemorating the 50th anniversaries of Richard Nixon’s 1968 New Hampshire primary win, the assassination of Martin Luther King, Jr, the 1968 election and the wedding of David and Julie Eisenhower.